2016 - The McClelland Financial Group of Assante Capital Management Ltd. This brings me to the next important financial insight in our series of 25-year reflections. Tax-efficient investing (or lack thereof!) can have way more influence on your end returns than you might think. If you’re not doing everything you can to protect yourself from the sharp bite of taxes, you’re losing money that would otherwise have been yours to keep. When it comes to tax planning, there are a number of nuances to know when making choices that make the most sense for you and your unique financial circumstances. Since this overview would quickly become overload were we to cover every possibility, we strongly recommend consulting with a tax professional before you invest. But, here’s the good news: Whether your investment portfolio is modest or grand, there are tax-efficient construction strategies you can employ to your advantage. Most investors start saving for retirement or other major milestones by opening a Registered Retirement Savings Plan (RRSP), Tax-Free Savings Account (TFSA), or both. The money you put into an RRSP is tax-deductible when you make the contribution (up to an allowable limit). Once the money is stashed in your RRSP, it grows tax-free, until you withdraw it. At that point it is taxed as regular income. In contrast, contributions to a TFSA are not tax-deductible upfront, but both your initial investments and any gains are tax-free while they grow and when you withdraw the funds. As you might expect, additional rules and restrictions apply. One rule I like is that, if you withdraw an amount in a given year, you can re-invest it in full the next calendar year. If you are diligent about “paying yourself back” with the reinvestment, this allows you to effectively “borrow” money from your TFSA when needed, without doing any serious damage to your long-term, tax-sheltered savings. Once you’ve stashed some tax-sheltered money into RRSPs, TFSAs or similar registered accounts, the next step is to invest it. Otherwise, just as taxes can slink away with your wealth, inflation can attack it like a virus, sapping away its vital spending power. If all of your savings are held in registered (tax-sheltered) accounts and your total savings are modest (say $100,000 or less), you’ve probably already done all you can to tax-manage your investments. That makes your next steps relatively simple. Balance your investments among stocks, bonds and real estate, as we’ve described in earlier 25-year insight installments, like this one on diversification. Do so as efficiently and cost effectively as possible. For this scenario, a low-cost, low-fuss balanced fund may be the best way to get the job done. Especially if you’re continuing to contribute to your accounts on a monthly or regular basis, having your contributions all flow into a single balanced fund helps you readily achieve effective diversification without having to continuously fuss over your investment decisions. It’s less work, and gives you an easier way to stay on track toward your long-term goals. Enough said. While an investment “starter plan” offers ease and simplicity, I certainly hope for your sake that your wealth will outgrow it – and sooner than later! Once you’ve exceeded your capacity to tax-shelter assets in registered accounts, you’ll want to open non-registered (taxable) accounts in which your savings can continue to flourish. Then what? Here’s where you can begin to employ additional tax-planning strategies that are admittedly more complex, but that can further safeguard your total, after-tax returns – i.e., the money that counts as your own. In my next piece, we’ll cover ways you can take your tax-efficient investing to the next logical level. Join us for a wine and cheese holiday workshop. Come and sample the finest cheeses from around the world. Wine and cheese are the perfect combination, whether you’re hosting a holiday party or just relaxing with a quiet evening at home. But which cheese should you choose? Are there certain kinds that work best as an appetizer? Are there any sorts you’ve always wanted to try but don’t know how they’re best served? Le Jolie Cheese Shop has the answers for you. Located at Yonge and Orchard Heights, it has been featured in Good Life and Cultures magazine and has been noted as one of the finest cheese shops in Ontario. Jane Kemp and Michael Welsh owners of La Jolie will be speaking at this workshop, and will answer any and all questions you might have, no matter how ‘cheesy’ they may be! Is cheese crumbly by design? Can I eat cheese if I’m lactose intolerant? What is some history about cheeses? How do you pick a cheese and wine combo? This event took place at the Thornhill Country Club on Monday, December 12th between 12:00pm – 1:00pm. Lunch and wine will be provided by The McClelland Financial Group. As you know we are big on helping our community. Every year we run a toy drive for CP24 Chum Christmas Wish. Your ticket to this event is a toy (from newborns to 18 years of age) OR a $5 donation per person. 2016 was another banner year for The McClelland Financial Group of Assante Capital Management Ltd. And, we have only our clients to thank for this success. Year in and year out we are humbled by the level of commitment and support given to us by you, our valued clients. In the past several posts, I’ve been describing the benefits of achieving financial balance. All well and good, but if there’s one insight gained after 25 years in the business, it’s how quickly and frequently balance achieved can become balance lost – in life and your investment portfolio. When we create investment portfolios, we do so according to particular percentages defined in each client’s personalized Investment Policy Statement. As the markets shift, their investments tend to stray from their original, intended “weights” or allocations. Rebalancing is the act of shifting those allocations back where they belong – between the broad asset classes like stocks vs. bonds, as well as among the more granular asset classes such as small- versus large-company stocks, international versus domestic bonds, and so on. We can sell some of the now-overweight assets, and use the proceeds to buy assets that have become underrepresented, until your portfolio is back at or near its desired mix. As we’re adding to or removing from the portfolio as part of your greater investment and spending plans, we can buy underrepresented assets and/or sell overrepresented ones. Did you catch what just happened? Not only are we keeping your portfolio on track toward your goals, but we’re naturally buying low and selling high. Better yet, the trades are not a matter of fancy guesswork or emotional whims. They’re accomplished according to your carefully crafted, customized plan. Rebalancing as described is integral to helping you succeed as an investor. But like any powerful strategy, it should be used with care and understanding. Trading costs are among the biggest considerations. In theory, if trading were free, we could rebalance a portfolio every day with absolute precision. In reality, trading incurs fees and potential tax liabilities. This means it’s good to remain close to balance, but it may not be practical to remain spot on at all times. Whole balance – The total amount of imbalance across all of a portfolio’s asset classes should not exceed 15%. For example: If six asset classes are each off by more than 2.5 % (6 x 2.5% = 15%), this triggers a need to rebalance. Individual balance compared to the whole – No single asset class should be more than 20% off from its relative weight in the portfolio. For example: If you’re supposed to be holding 20% of your total portfolio as international stocks, we’d want to rebalance if that relative weight exceeded 24% or dropped under 16%. Individual balance compared to itself – No single asset class should be more than +/– 4 percentage points off from its ideal weight. For example: If you were supposed to have 30% in fixed income investments but you ended up with 25%, that equates to a 5-point difference (30% – 25% = 5 percentage points). Rebalancing makes a great deal of sense once you understand the basics: It gives you a clear, evidence-based process and cost-effective solutions for staying on course toward your personal goals through rocky markets. It ensures you are buying low and selling high along the way. What’s not to like about that? At the same time, rebalancing within your globally diversified portfolio requires informed management to ensure it is being integrated consistently and cost effectively. Helping our clients periodically rebalance their portfolio when warranted is another vital way we seek to add value to their investment experience. Tired of the smokescreen the media or other advisors give you when it comes to fees? If any of those questions create a fire in your belly, then come to the next lunch and learn. Hosted and presented by your very own advisory team, this open mic, no holds barred question and answer session is the 2016 can’t-miss event. What are the upcoming Investment industry changes and how will they affect me? Does insurance make sense at my age? How do banks and advisors get paid? How will the US election affect the market? This event took place at the Thornhill Country Club on Thursday, November, 17th between 6:00pm – 7:00pm. 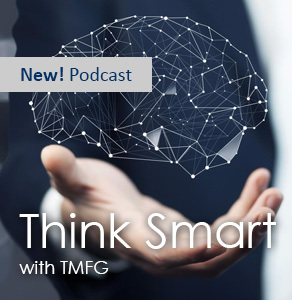 An expert on how to minimize risk and maximize income during pre and post-retirement stages, Rob McClelland has assisted thousands of investors achieve their financial goals over the past 25 years. A prolific speaker and financial educator, Rob has been a featured guest on ‘Report on Business’ and has written for the Canadian-acclaimed newspaper, the Financial Post. Rob has built a successful business at The McClelland Financial Group as evidenced by being honoured as one of the top 50 financial advisors in Canada the past 3 years. 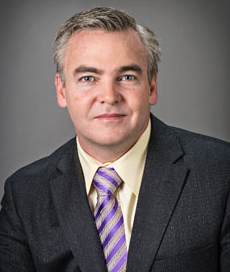 Michael Connon is a Senior Financial Planner and co-owner of The McClelland Financial Group of Assante Capital Management Ltd. Throughout his career, he has been helping thousands of investors, retirees and pre-retirees from companies such as RIM, Imperial Oil, IBM, Royal Bank, and Proctor & Gamble, etc. 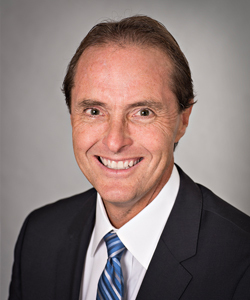 Michael has achieved a Certification in Estate Planning and Trust Strategies, in addition to being a Certified Financial Planner professional. The CFP designation is deemed to be the international standard at which Financial Planners are measured. 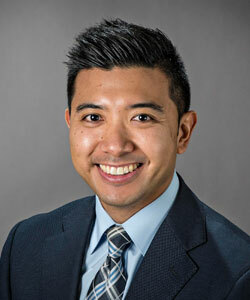 Carlo Cansino has achieved several industry designations such as the Financial Management Advisor and Fellow of the Canadian Securities Institute, regarded as the highest honour and most senior credential in Canadian financial services. He is also a Certified Financial Planner professional. Carlo Cansino has written for Wealth Professional magazine in addition to actively contributing to Investment Executive, Canada’s national newspaper for financial services industry professionals. The lead article writer for our client newsletter, Carlo also has a following on our YouTube video channel. At The McClelland Financial Group, we believe in an investment philosophy deeply rooted in academic research. Our goal is to provide our clients with an uneventful, worry-free investment experience. We do this by entrusting our clients’ money with Dimensional Fund Advisors.